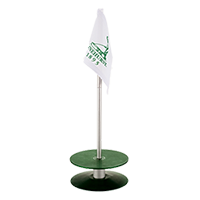 These anodized aluminum putting cups are made in the U.S.A and are fun for the whole family. 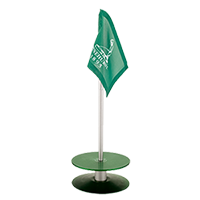 Everyone can practice their short game with a Putt-A-Round. 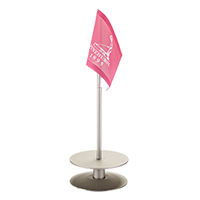 Pin flag features the iconic Putter Boy logo.